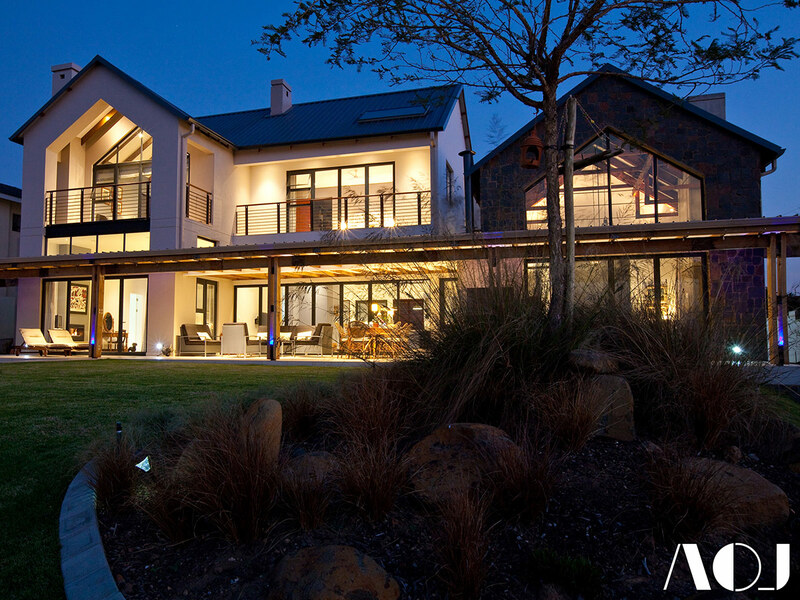 This luxury residence is located in the Waterfall Country Estate, which promotes smart sustainable design and mixed material expression. The client asked for a pragmatic design approach that would at the same time remind her of her youth growing up on a farm. 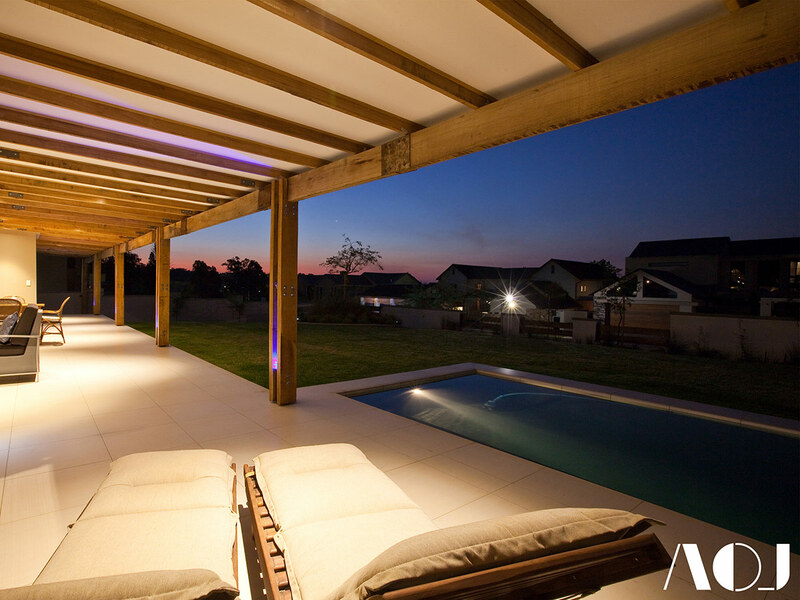 The AOJ team therefore focused on harnessing natural elements and the appropriate use of materials as the visual and tactile stimuli to trigger these visions of “plaas” living. 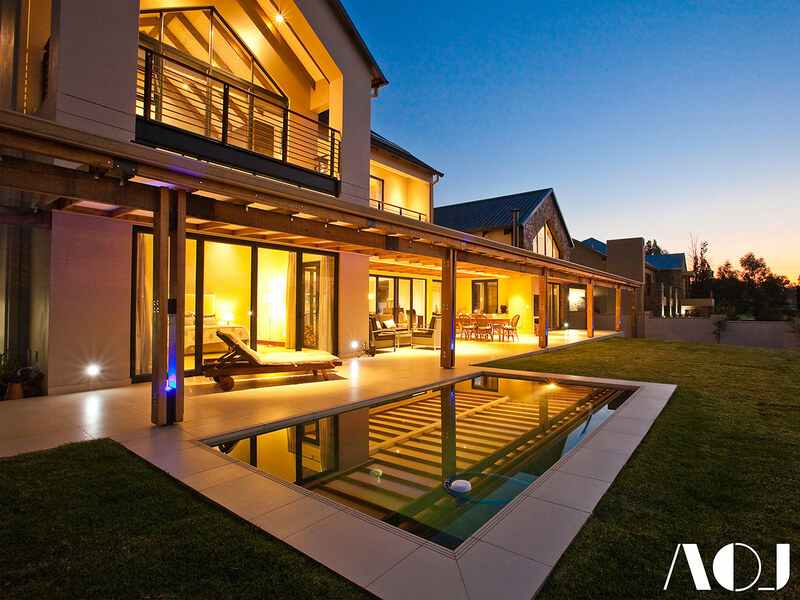 The house therefore floods with natural light, so as to provide a warm and comfortable home year round. The chromadeck roofs sheeting is purposely use so it can be herd tinker during rainstorms. Reconstituted timber trusses are mostly exposed to accentuate the sharp pitched roof and enlarge internal volumes, while natural rock sits as cladding on parts of the exterior to evoke a nostalgia of the typically stone constructed homes found on old farm holdings. 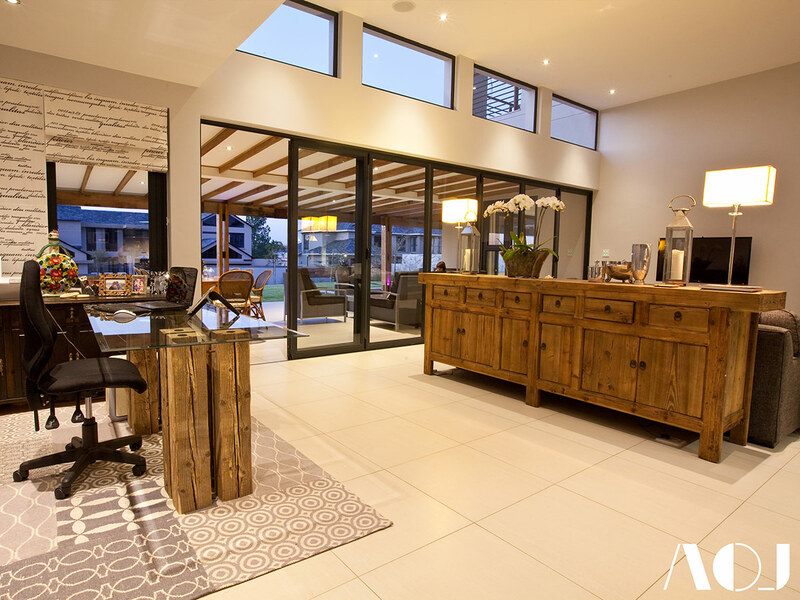 Our clients design parameters further evolved into a prominent northern verandah space that stretches from the east to the west site boundary. 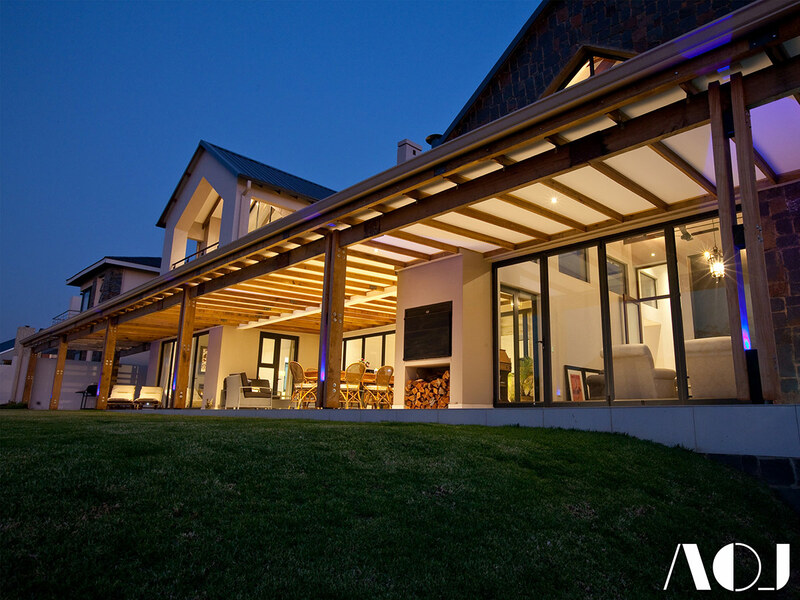 This continuous verandah is fitted with screens that add elements of privacy and solar control. This climatic control ensures the patio is in use throughout the year. A “great room” houses the kitchen, family lounge and dining areas as one space, and extends in the centre of the house from the south to the north. 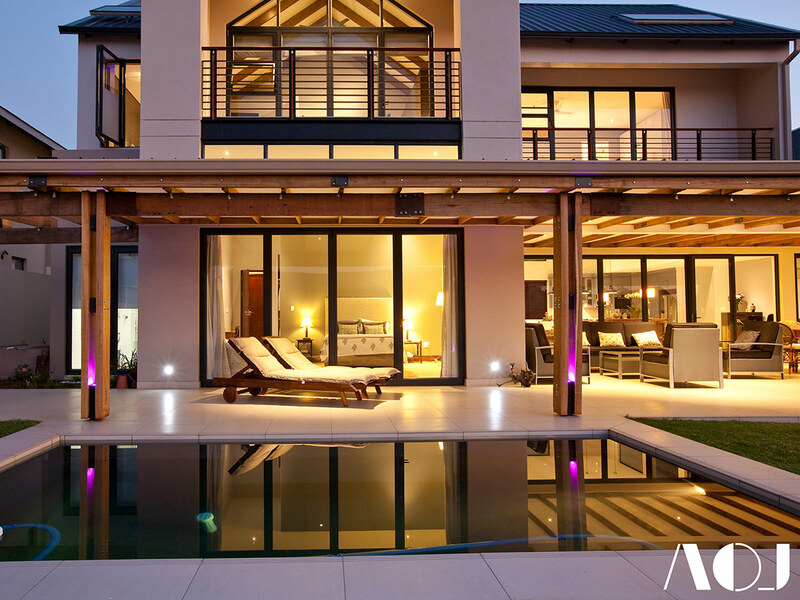 This space is also directly linked to the verandah, which allows this main living area to connect to the main garden. 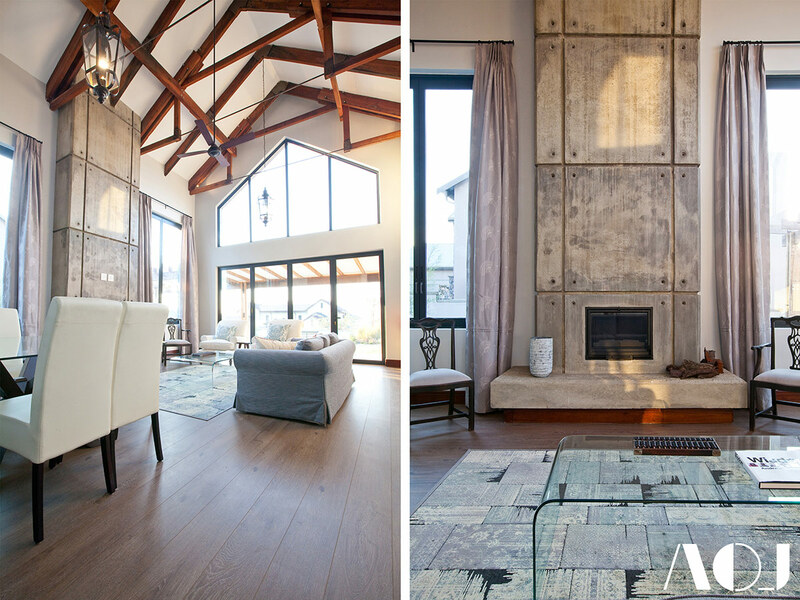 Off shutter concrete, stone cladding and reconstituted timber trusses add stunning and practical features to the home. 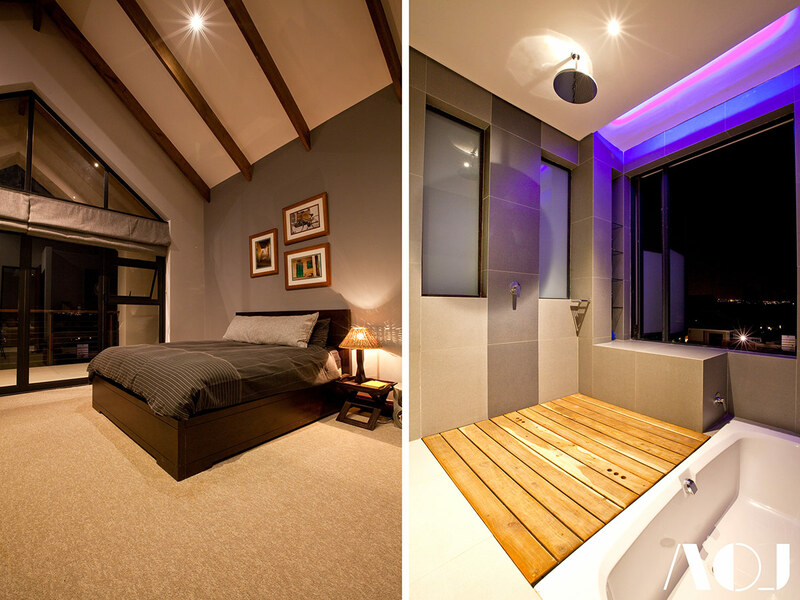 The four bedrooms consist of three en-suite master suits and a smaller en-suite guest room, and all compliment the modern living space. These bedrooms boast huge windows, covered balconies, ample cupboard space, and fireplaces. 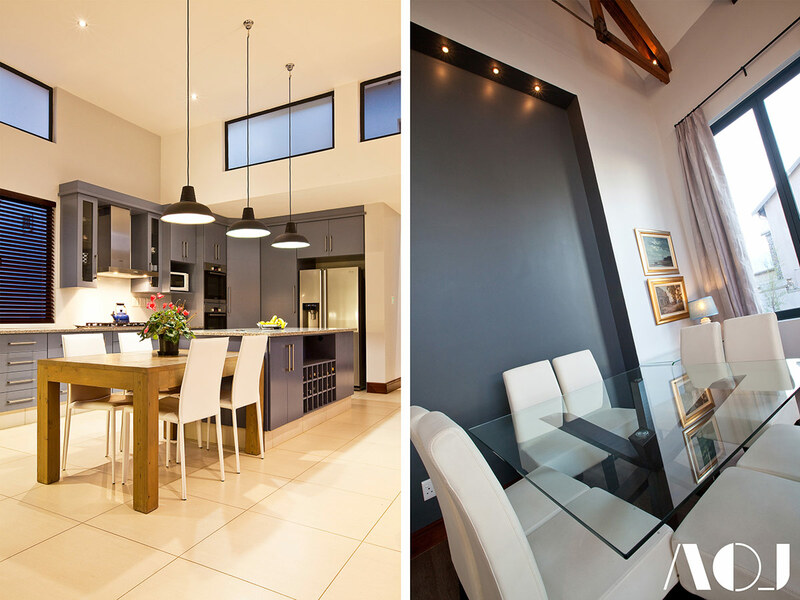 A comfortable apartment complete with kitchenette and lounge is situated over the garage on the south side of the premises. A mint planted driveway on the western boundary passes under the veranda and ensures fresh fragrances of crushed mint are evoked each time you arrive or depart the luxury residence.